"There's a satisfying lushness to this album that draws you back to sink into its intricate acoustic tapestries over and over again. And then you listen - properly listen - to the words, letting them unfurl their vivid imagery once more. It all works perfectly, thanks to three impressive elements: Mog Fry's amazing voice, a faux-artless folk instrument with the reach of a diva; Jon Hunt's meticulous multi-instrumental imagination; the dozen well known chosen poems from the likes of Keats and Blake that provide the lyrics. Yes - it's real poetry, but set in these rich arrangements and spelled out in Mog's compelling delivery you simply hear crafted lyrics: Tennyson's 'Touch of a Vanished Hand' could be Morrissey, with a string arrangement by Jonny Marr. Gorgeous gorgeous stuff in a world of its own." "Ethereal and splintered by turns...a strange Victorian world of velvet menace. Odes by Dickinson, Wilde and Hardy, all set to slow-burn acoustic soundtracks that grew assuredly from placid to menacing. "This duo took a clutch of classic poems by Tennyson, Wilde et al out of their aspic and set them to their own edgy haunting acoustic ballads. Her voice has something of Beth Gibbon's autumnal glow: he has the wildest eyes this side of a death-metal convention. An unexpected thrill"
"A gorgeous and inspiring set from Bristol based duo The Wraiths, who charmed and delighted the audience - lead singer Mog delivering in unforced and bitter-sweet tones to some of the most beautiful lyrics ever (they were all classic poetical texts set to music) with accomplished guitar playing and backing vocals from John, and occasional extra bass drum beats for effect...The Wraiths' music is beguiling, mysterious and intriguingly fresh;it has a very fluid, organic feel to it that perfectly matches the cadences of the poems themselves, whether they be in 'free verse' or strict meter. 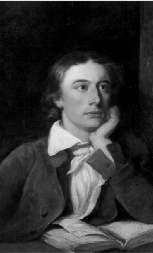 From Shakespeare to Emily Dickinson, Romanticism to Imagism, theirs was a homage to the work of great artists that became, in and of itself, a new and fascinating art form. I gush... we loved them"
"Damn – you write a piece banging on about how surprisingly little poetry is set to pop music, then along comes a whole album full of the stuff. These are the Wraiths, and they hail from – where else? – Bristol. Theirs is just about the perfect moniker, given the poetry the duo set on This is Charing Cross. Ford Maddox Ford’s title poem has the bereaved widows of First World War soldiers gathering at the station for trains which will never disgorge their husbands. The women’s faces, and those of their children, are dead. Living ghosts. All of the poems the Wraiths set seem carefully chosen for their resonance, their timeless and lyrical beauty, and capture moments – ghosts of moments – that but for poets would go unrecorded, uncelebrated. They set them to music which is decidedly more corporeal, more substantial, Elizabethan folk blended with the kind of acoustic instrumentation and guitar play that might have graced work at the literate end of eighties and nineties indie-pop (I wouldn’t be surprised if Mog Fry and Jon Hunt turned out to have form in this respect). It’s a winning combination, as a listen to ‘The curlews’ on their MySpace site will bear out. Mog comes across as a warmer Trish Keenan, trading the latter’s icy distinction for a far greater range, so that she’ll sing ‘The junk of many pearls’ with appropriate aquamarine ethereality and then go to town belting out ‘Movers and shakers of the world’ (Arthur O’Shaughnessy’s ‘Ode’). And having been captivated initially by these more immediate songs, I’ve found myself returning to the softer settings. ‘The darkness’ (D.H. Lawrence’s ‘At the window’) is as gently evocative of weather, season and mood as, say, ‘Saturday’ by the Clientele. The Wraiths have the same lightness of touch and This is Charing Cross bears repeated listening. Thanks are once again due to Tim, who increasingly seems to be this blog’s eyes and ears on the ground. I really should get out more, as the Wraiths prove.